BMW M5 — rear-drive a 5-seater sports sedan of class E. BMW M5 car is created by division of the Bavarian motor-car manufacturer of BMW Motorsport on the basis of Series BMW 5. For the first time it is presented in 2004. 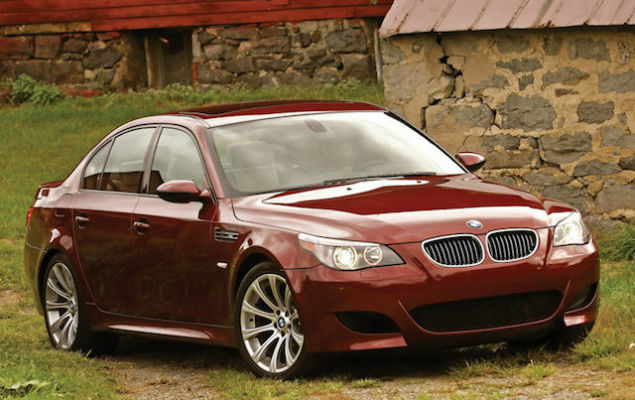 BMW M5 E60 differs effective appearance, high quality of assembly, an ergonomic and comfortable interior. The stylish silhouette and faultless technical characteristics of BMW M5 make new definition of concept “a hi-tech sedan”. It’s engine V10, 7-step gear box SMG Drivelogic and the aluminum chassis are uncompromising technologies in automotive industry. 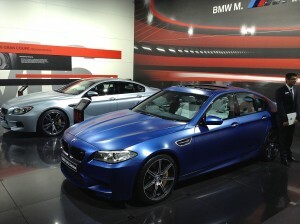 To 100 km/hour speed BMW M5 2005 modelling year accelerates in 4.7 seconds. The new generation of Bentley Continental Flying Spur is a combination of uncompromising quality in each detail. The magnificent sedan harmoniously combines thoroughbred character, prestige and luxury. Classical British style is ideally shown in this car. 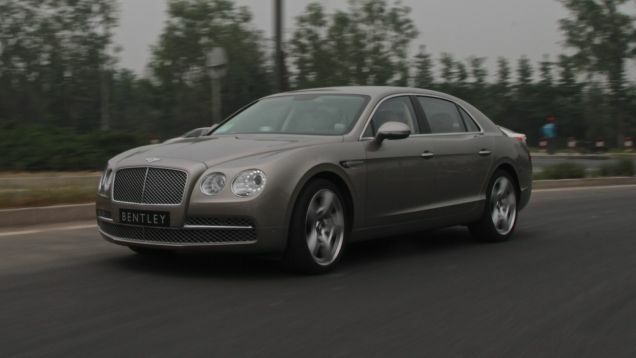 Handwork, abundance of bonus materials of furnish, impressive power, high technologies – all it characterizes Bentley Continental Flying Spur sedan, as the car of highest “grade”. Two variants of execution new Flying Spur are accessible to buyers: W12 and W12 Mulliner. The wide quantity of variants of an individualization gives the chance to receive the refined and original car in all senses. Bentley Continental Flying Spur 2013 of modelling year is equipped by advanced gasoline engine W12, capacity of 625 h.p. which is aggregated with 8-step automatic transmission ZF. The storm twisting moment in 800 Nanometers is accessible already at 2000 turns. To 100 km/hour almost 2.5-ton car is dispersed only 4.6 with, and the maximum speed is limited on a mark in 320 km/hour. Bentley Continental Flying Spur has a pneumatic suspender with electronic control. The presentation of the most powerful version in gamma of Panamera – Porsche Panamera Turbo S – has been dated to New York the motor-show, passing in April, 2011. 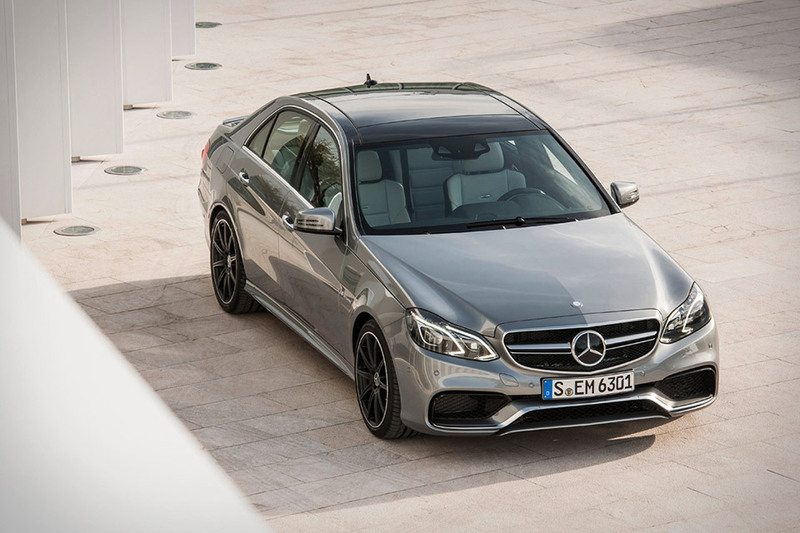 The leader received the 4,8-litre petrol motor with a double turbo-supercharging – same, as in version Turbo. But at the expense of application modernized engine power increased with 500 to 550 h.p., and a twisting moment – with 700 to 750 Nanometers that was not reflected in any way in its resource. The updated motor allows Porsche Panamera Turbo S to be dispersed with 0 to 100 km/h only for 3,8 with, on 0,4 with faster Turbo, and the maximum speed makes 306 km/h. In a tandem with the power unit the 7-step automatic box of gear shift PDK works. Also in Porsche Panamera Turbo S basic set it is equipped with all-wheel drive transmission with system of distribution of pull-rod of Porsche Traction Management. Also buyers receive an adaptive pneumosuspender and the monitoring system of position of a body with active stabilizers which effectively counteracts lists and rocking at movement on any speeds. Besides it, the list of the standard equipment for Porsche Panamera Turbo S includes package Sport Chrono Turbo. One of its elements is function over boost which start allows to increase instantly a twisting moment to 800 Nanometers. An interesting option for Porsche Panamera Turbo S are the punched ceramic brake plates, diameter 410 mm in front and 350 mm behind. They provide effective braking, are not inclined to overheats and weigh on 50 % less than the regular. Besides the increased diameter, such brakes can be learn’t on the calipers painted in yellow color. Besides, outwardly Porsche Panamera Turbo S differs from other versions by wider rear fenders and 20-inch wheels. It is necessary to notice that already in base the car is equipped with the equipment which is offered only for an additional payment even for version Turbo. Including it is audio system Bose, adaptive bi-xenon headlights and package Sport Chrono. 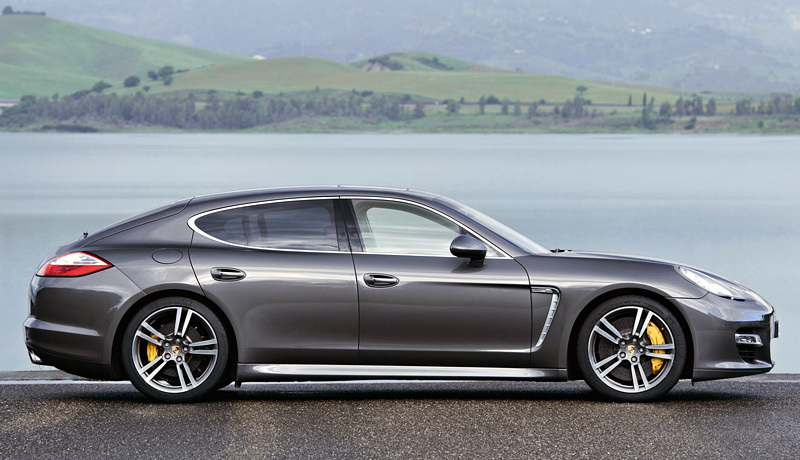 However the list of the options accessible to Porsche Panamera Turbo S, remains wide. Together with decorative elements it engages audio system Burmester of a Hi-End-class, the Wi-Fi-module, adaptive cruise-control, vocal control system PCM, multimedia system for rear passengers and many other things. Audi RS7 — the bright representative of the sports ruler RS, different magnificent design, the highest level of comfort and unsurpassed dynamic characteristics! This car is equipped with the most powerful effective 4-litre engine V8 TFSI developing 560 horsepower’s. 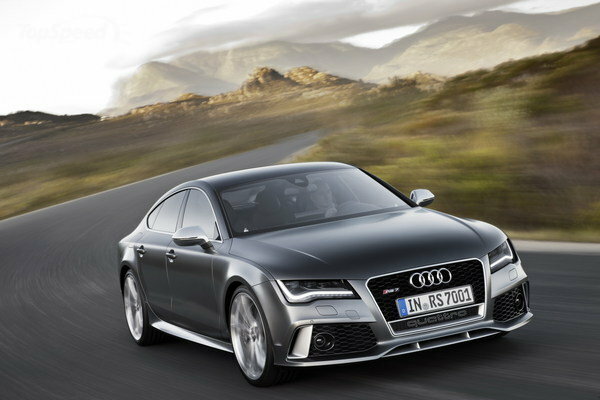 Into standard equipment of model also enter an innovative 8-step check point tip-tronic and hi-tech system of a constant all-wheel drive Quattro which teamwork provides Audi RS7 improbable dynamics. Located on each side from firm massive air intakes underline bright sports style of the car. At the rear end the original bumper with an elegant insert of the choke tube and the dual oval branch pipes of final system which are traditional elements of an exterior of models RS is allocated. In a passenger compartment the unique super comfortable atmosphere inspiring on active style of driving is created. Carbon inserts underline dynamical character of model, and ergonomic seats with lateral support provide the maximum convenience to the driver and passengers. 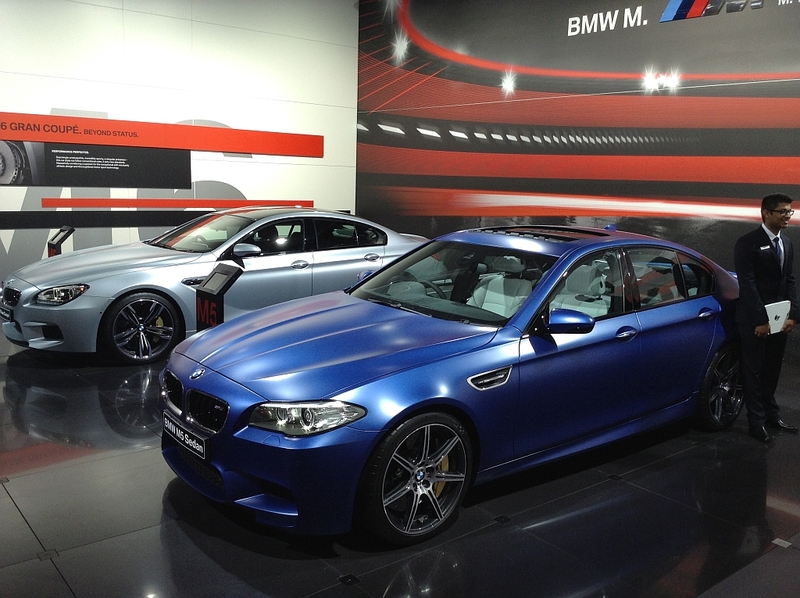 BMW already is a couple of 560 HP supercars: a terrible sedan of BMW M5 and coupe M6. But now one more model joined them with a prefix “super” – a four-door BMW M6 Gran Coupe, stylish and very fast. A lot of magazines and competitors tested a novelty in vicinities of Munich and understood, who become its main competitors. In 2013 the 4-door sedan of Aston Martin Rapide received a prefix “S”. This car became more powerful, thus blowouts СО2 in atmosphere decreased on 17 %. 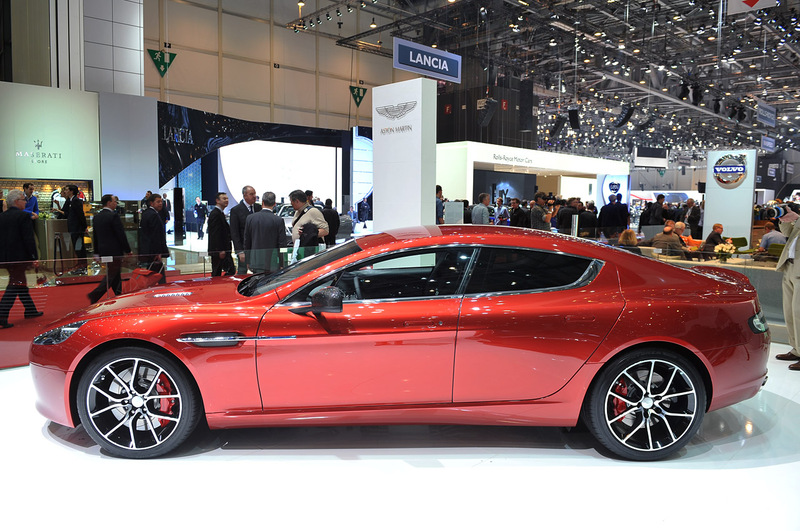 As to appearance Aston Martin Rapide S received updated lattice, a front bumper, a cowl and a luggage door with a spoiler. The interior of new Aston Martin Rapide S differs slightly modified panel of devices. For the car the wide quantity of variants of furnish of an interior that allows to receive an original and magnificent sport car is offered. The main advantage of this car – the 6-litre atmospheric engine, of 558 h.p. At the expense of the improved combustion chambers and the facilitated camshafts capacity of new Aston Martin Rapide S is increased by capacity by 81 h.p. Thus fuel efficiency improved. Excellent readability, dynamics, appearance and comfort do this car by the best seller in a class. The powerful motor – guarantee of fast driving. It is important to manage to bridle its heat. Here again the key role is played by two factors: talent of engineers and skill of the person on a driver’s armchair. Worthless “pilot” is capable to put out of the way even the most balanced car. And on the contrary, skillful “driver” can “bring” the first to finish even rather mediocre chassis. If two extreme measures are imposed against each other it turns out either it is absolutely good, or it is extremely bad. In practice there are average variants and then all depends already on proportions is more often. At an annual automobile forum in Los Angeles in 2012, the English manufacturer of elite cars Jaguar company presented the powerful sedan XFR-S which is the most “quick” car, left of factory shops for all time of existence of the company. The novelty differs not only installation of more powerful engine, but also the aggression of design caused by application sports carbon of a weather-cloth which in turn creates optimum aerodynamic resistance. The basic lines of an external exterior is application of a massive front bumper with three sections of air intakes, extreme from which are decorative and a splitter from carbon. The large black radiator enclosure provides not only solid appearance to the car, but also effective cooling of a radiator. The rear bumper also has the considerable geometrical sizes, and is equipped with the central splitter, and also the branch pipes of an exhaust system carried in an extremity. The rear wing bears on itself the name of make of the car of Jaguar XFR-S. 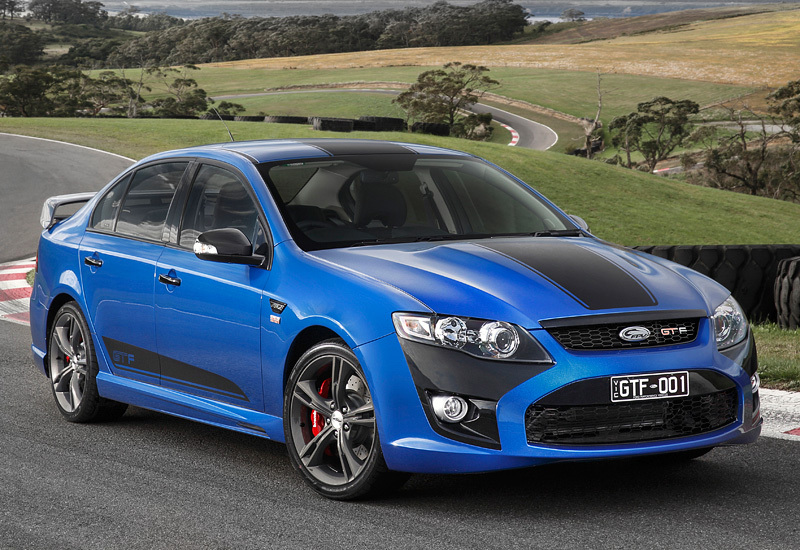 The Australian division of the company of Ford Performance Vehicles (FPV) officially presented the new working out – magnificent car Falcon GT F.
It will be possible last car developed by the company in Australia as in October, 2016 division plan to close. It will be exhausted only 550 copies Falcon GT F, 500 from them will be sold on the Australian continent, and 50 – in New Zealand. The price of an exclusive sedan makes from 77990 Australian dollars. Falcon GT F it is supplied by 5,0 liter engine V8 with forced aspiration on 477 h.p. (351 kw) capacities and 570 Nanometers (420 pound-foot) twisting moment. Forced aspiration function «Overboost» in addition adds to the power unit of 15 % of capacity. At activation of this function the engine will be capable to give out 549 h.p. (404 kw). 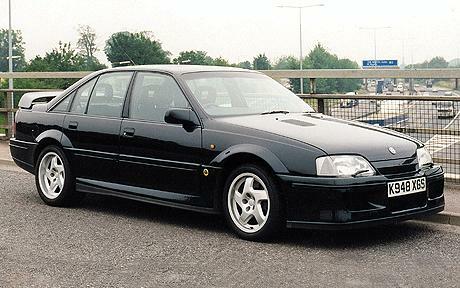 Let’s remind, sedan Lotus Carlton was issued in the beginning 90 and represented the modified version of model Vauxhall Carlton more known to continental Europe, as Opel Omega. Engineers Lotus replaced 3 l the motor with 3.6 l and equipped with its two turbochargers Garret T25 therefore engine power made 380 h.p. To first “hundred” sedan was dispersed all for 5,2 sec, and the maximum speed made 285 km/hour. Such indicators were envied in due time even by BMW M5 and Mercedes-Benz 500E which accelerates to “hundred” was for one second more slowly. Successor Carlton will be constructed of composite materials and becomes, probably to be completed with 4.4 engine V8. However, the decision on the beginning of manufacture of a novelty depends on, whether manages to find management Lotus the partner for car creation. While in the company at all did not solve, on what platform to build a sedan. On hearings, the model can be based on a platform of new model of Vauxhall/Opel Insignia which debut took place on a recent international showroom in London.